With the holidays approaching, it's time to start thinking about fun ways to dress up your everyday look. 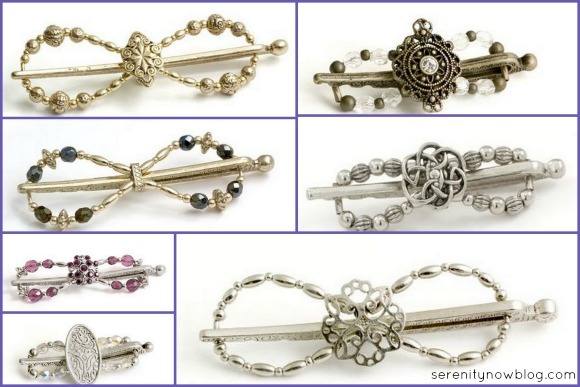 My newest sponsor, Bambi from Lilla Rose, has a site full of lovely hair accessories for any woman or girl...and she's giving away a FREE Flexi Clip to one Serenity Now reader! 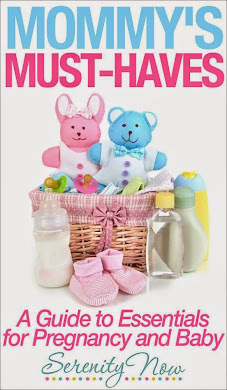 Keep reading to find out more about Lilla Rose and to enter to win. 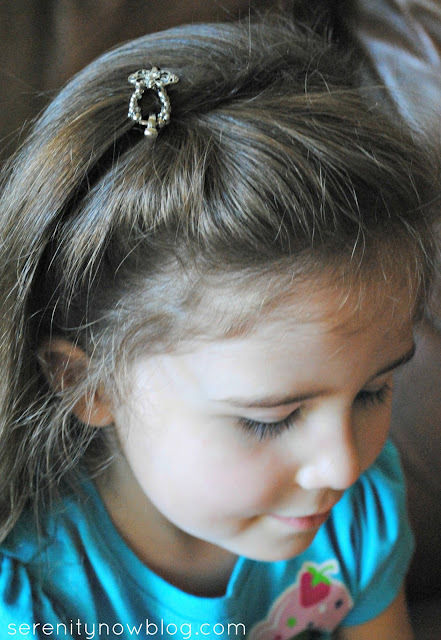 If you're new to Lilla Rose, they offer stylish, feminine hair accessories that are still practical and affordable! 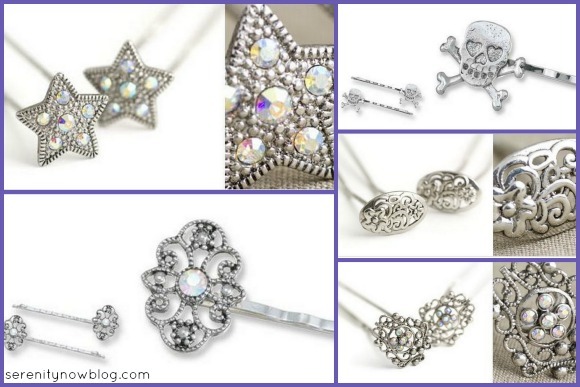 The lovely "hair jewelry" that Bambi offers on her Lilla Rose site include Flexi Hair Clips, Bobby Pins, Hair Sticks, Orings, Hairbands, and You Pins. I love the sparkle in the Hair Bands! Bambi was kind enough to send a Flexi Clip to the T house for a test run. 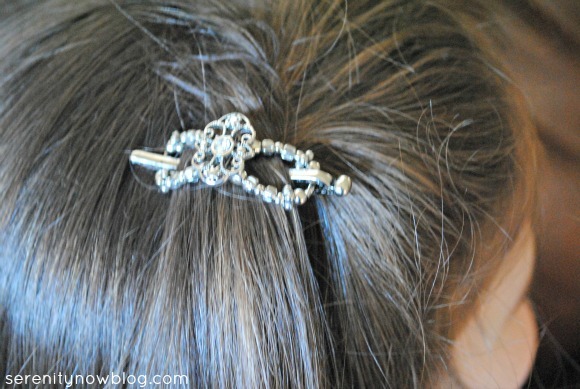 I chose the Flexi Mini in the Princess Tiara style because I wanted to try it out in the girls' hair. The clip arrived with instructions on how to use it (and they even have videos on choosing a size and how to use them!). I think this finish will go really nicely with any of my girls' dressier clothes...these clips really are great for women and girls. This particular clip will give Michaela Byrd's Christmas dress a longer "life." She can wear the Flexi Mini instead of a Christmas bow and have a winter look instead of a Christmas one! With the wonderful pricing on these hair accessories, any choice would be a perfect stocking stuffer this Christmas...start planning now. 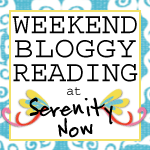 Bambi is offering a Serenity Now reader their choice of a Free Flexi Clip (valued at $16 or less). Disclaimer: I received a Flexi Hair Clip as part of a review package for this post. All opinions, however, are my own. I really like the Vibrant Cluster of Hematite. So fun! I like the classic etched cross mega clip - I have a ton of hair! My fave is the medium sized celtic knot flexi clip. Thanks for sharing! I like the Crystal Stone Cluster clip! I can't decide between the "Fancy Blossom Dangle" and the "Princess Tiara". Both are gorgeous! My favorite clip is the Intricately Designed Motif extra large clip. I like the celtic knot clip. The flexiclips are just gorgeous - I love them all. I love the silver etched lily! I like everything they have, oh my! 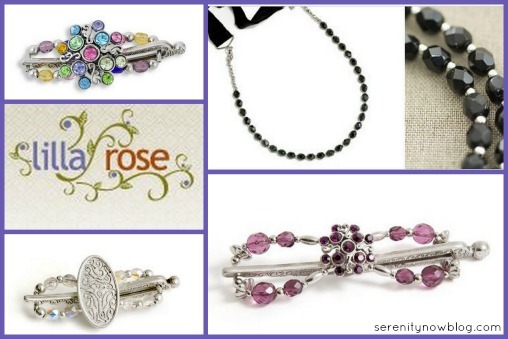 My favorite though - if you make me pick : ) ~ is the Roman Stone Flexi Extra Small. Love the 1-1952 Celtic Knot Black Nickel clip! My favorites... either Whos Whoo or the Poinsettia one! 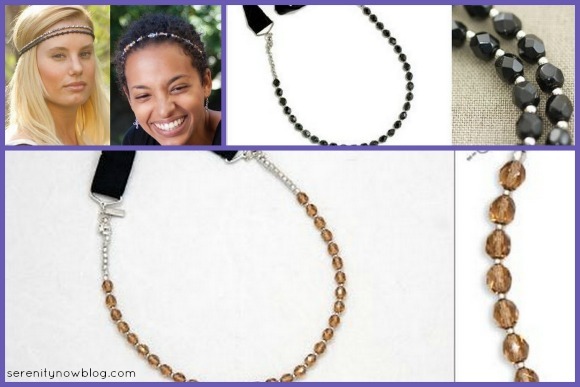 These are so beautiful, and the one in your daughter's hair is so cute!